Scouting and proper pest identification are essential to identifying which biological control agent is best suited to provide control. Photos from Ron Valentin. 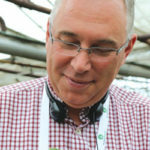 Growers who work with biological control agents (BCAs) know that starting early in the production process and planning ahead are important ingredients for a successful program. In April 2010, the eruption of Iceland’s Eyjafjallajökull volcano disrupted air traffic in Europe and transatlantic flights to North America for weeks. Growers who were implementing biocontrol in North America in 2010 might remember this event because of the supply interruption of BCAs. Many of the BCAs used in their programs came from Europe, and in some cases, it resulted in a compromised program, or worse — failure of their biocontrol program. A successful biocontrol program relies heavily on a consistent supply of quality BCAs. Supply interruptions anytime during the crop cycle can compromise the program’s success. Iceland’s volcanic disaster was out of anyone’s control, just as there are times when BCA supply interruptions are beyond your control. However, there is one scenario where good management helps minimize the risk of supply problems. In the early days of biological control, during the ’70s, it was not uncommon to have periods where production challenges compromised a BCA’s availability. Biocontrol is similar in many ways to working with plants. They are living organisms subject to all types of problems. For example, in 1986 there was a shortage of Encarsia formosa for whitefly control due to a production problem at one of the producers that affected tomato growers in Northern Europe. As the biocontrol industry has grown up, production problems are far less common. They do occasionally happen, though, more often with newer BCAs being introduced while production is still being fine-tuned. Many of the larger biocontrol producers have invested in developing the same BCAs in different locations, where each location has multiple production units, to reduce the risks of production challenges. Quality and viability of BCA products should be a key focus from the production site all the way to the grower’s crop. I remember the days when I drove around The Netherlands delivering BCAs to greenhouses in a small Renault 5 with several temperature-controlled coolers in the back. This was possible due to the proximity of greenhouses in The Netherlands. For biocontrol to be adapted in some parts of the world, transport, logistics, and climate conditions need to be improved. For transportation, the biocontrol industry has developed standards that answer questions such as which BCAs can be packed together in the same box, and which ones can’t. For example, Aphidius colemani must be kept cool during shipping to minimize hatching of the pupa in the packaging during transport, but Amblyseius swirskii prefers temperatures above 55°F. As a result, a grower receiving both products in the same shipment will get two separate boxes. As the use of biological control intensifies in North America and around the world, good production practices become even more important. Additionally, greenhouse operations have expanded in size, which increases the quantity of BCAs used by these operations. As demand continues to grow, so does the need to plan and forecast the available supply of BCAs. 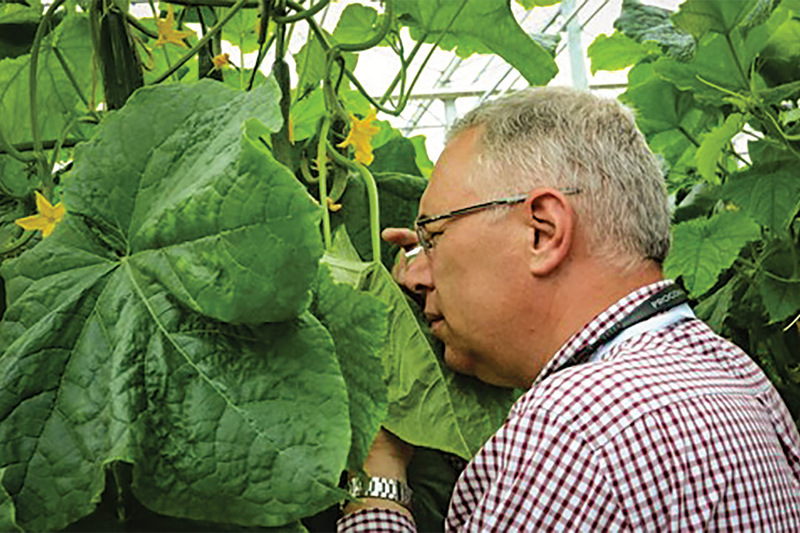 Biological control has become the first line of defense in pest management programs for greenhouse-grown vegetable and ornamental crops, but the success of these programs is only as good as the consistent supply of quality BCAs. Growers and biocontrol producers and suppliers can do better at working together to forecast and plan for adequate supplies of BCAs throughout the season. This is something that is much easier to manage than an unpredictable volcano in Iceland. Ronald Valentin ([email protected]) is Head of Technical Support for Bioline Agrosciences North America. See all author stories here.